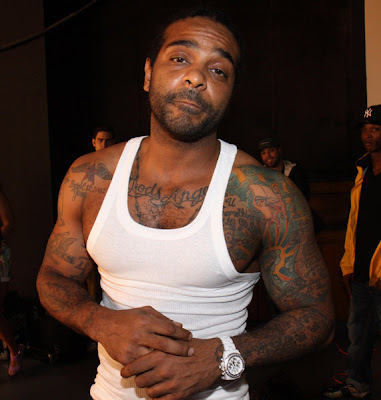 Jim Jones was arrested on Monday which was his second arrested in three days. Jones, now 35, was busted in his old stomping grounds, riding in a black Audi sedan, police said. The “We Fly High” emcee was collared by NYPD officers in front of the Grant Houses in Harlem, on W. 125th St. near Amsterdam Ave., police said. Jones’ New Jersey license is suspended, police told the Daily News. He was issued a desk appearance ticket and released shortly after the 3:20 p.m. lock up. It was the second time in three days that Jones found himself in handcuffs. On Friday, he was nabbed at the Foxwoods Resort Casino in Connecticut after a brawl broke out at a Diddy party. He was hit with charges for resisting arrest and breach of the peace after allegedly assaulting an officer, according to some reports.